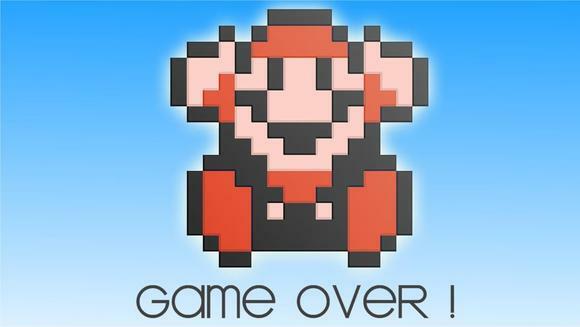 It wasn’t too long ago that the frontpage of N4G was flooded with articles about the Wii U and its inevitable downfall. The gaming media and its followers loved to watch the Wii U flounder, but the Wii U has gotten a reprieve. Now, the XBox One is our favorite new punching bag. Not much has changed with the Wii U. The Wii U still has a fight ahead of it, and it isn’t exactly surging. So, why aren’t we talking about that anymore? Because, the gaming media does not only report the news, but shapes it. The gaming media found a better narrative to create. Bashing the Wii U is soooo 3 months ago, and now it’s time for the XBox One to take its place in the circle of doom, a circle that has existed for as long as gaming. Let’s take a look at the circle of doom in modern times. which people were totally able to do, but whatever. It isn’t too hard to figure out why the PS3 was blasted so. Developers had issues working with the hardware leading to awful ports. If you think Tomb Raider on XBox One is bad, go play Orange Box or Bayonetta on PS3. Third party support was shaky at best, first party support was a work in progress, and the XBox had a year’s head start. Nevertheless, the PS3 was able to, over the span of a couple of years, reverse its fortunes. 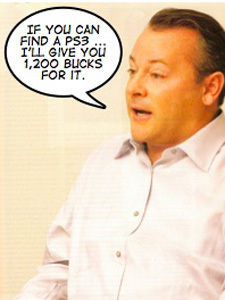 The PS3 would end the generation on equal grounds with Microsoft. The 3D… IT BURNS MY EYES!!! Once the PS3 had settled in, we needed a new target for our doom. Thankfully, the 3DS launched. With complaints about eye strain, a weak launch lineup, and a high price tag, doomsayers had to change their pants when the 3DS launched. The 3DS launched recently enough that articles about the 3DS’s doom have yet to be swept under the rug of the internet. You don’t have to look hard to find predictions of the 3DS’s demise, but here are some for you. “Super Mario Land 3D is a great game, but many people will never know—because they’ll never own a 3DS.” Gameranx. For the record, 3D Land has sold over 9 million copies. “Should you get a 3DS now? Nope. How about the near future? Probably not. Unless Nintendo steps up their game to make the 3DS worthwhile out of the box—with a ton of free games, and new titles you actually want to buy, and play—it’s hard not to be dismissive of the device’s legacy as a whole. The next few months will see just how well, or how poorly, it holds up against the PlayStation Vita.” Gameranx again. The 3DS would of course go on to become a nice success for Nintendo. It is unlikely that the 3DS will achieve DS levels of success, but it is far from the failure that was predicted. Who could have guessed that a console would get more games as time went on? The internet would be quick to back away from its doom prophecies for the 3DS, but it would soon have a new target. 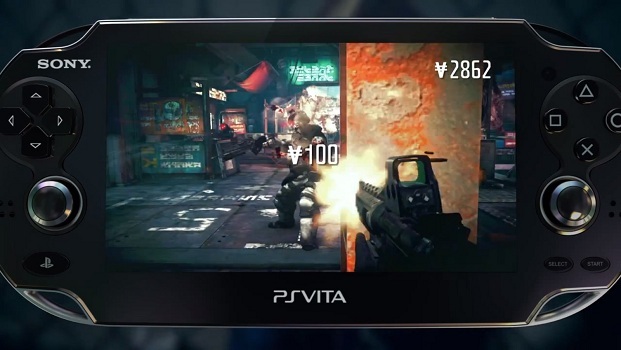 Similar to the 3DS, the Vita launched at too high a price with too few games. Unlike the 3DS, Sony didn’t take swift action in the form of a price cut or pump out a huge amount of first party content. So, the Vita negativity probably was justified in the long run, if not at its inception. The Vita has gone on to carve itself a nice niche in Japan, but still hasn’t managed to find footing outside of its homeland. With 2 years on the market, we can pretty comfortably say that the Vita is unlikely to achieve much success in the west. Unless Sony shells out some money to third party developers for top notch games and puts developers like Naughty Dog on Vita duty, it’s doubtful that the Vita will climb out of the hole it’s in. Of course, when you predict doom for every console, you’ll eventually be right. At any rate, the Vita’s struggles were quickly brushed away because we had a new console on the block. Until recently, the Wii U was everyone’s favorite doomed console. The Wii U has had a rough first year with a price cut, few games, many delays, and some big issues with third parties. Will the Wii U become a niche device like the Vita or worse? Maybe. The Wii U has the benefit of being more important to Nintendo’s overall success than the Vita is to Sony’s, and what is shaping up to be a good 2014 lineup highlighted by Mario Kart 8 and Smash Bros. It seems though that little emphasis is placed on the Wii U nowadays. We’ve simply grown bored with bashing it. Now, it’s time for some new doom. XBox One More Like XBox Lost… Amirite? The XBox One had a very successful launch in the US, and a very unsuccessful launch in Europe. It’s still outpacing the XBox 360 by a considerable amount in the US. The XBox One’s lack of success in Europe is a bit troubling, but the XBox One’s US install base should prove more than enough to maintain third party support from Western developers. Nevertheless, the XBox One has taken a beating from the media. Any small issue issue is magnified to the maximum degree. Does resolution matter? Yes. Has its importance been blown out of proportion? Yes. Inferior multiplatforms didn’t seem to matter much for the PS3 (a big problem in the PS3’s early life) or the PS2. Is it a bummer that Titanfall has no single player mode? Yes. It it fair to say that Titanfall costs $120? Absolutely not. The real truth is we decided we hated the XBox One way back when it made its awful debut. Even though the things we hated about the console have pretty much all been changed, the internet still maintains its hatred, and appealing to that hatred is a good way to get hits. Oh, you thought the PS4 was free from doom? Well, not quite. 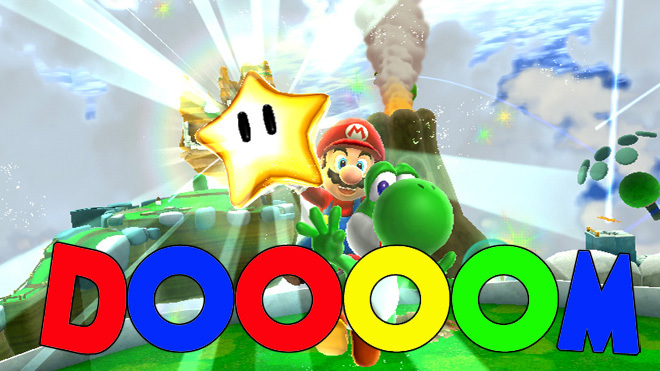 We already have sites talking about how the PS4’s Japanese launch was worse than the Wii U’s. The implication is not “hey the Wii U did better than we thought”, but “hey the PS4 is more doomed than the doomed”. The comparison is hardly apt, but it goes to show how ready we are to play the doom card. What Makes The Best Story? The bottom line is that the gaming media is constantly on the hunt for clicks, and they’re willing to shape the news in whatever manner is necessary to get those hits. 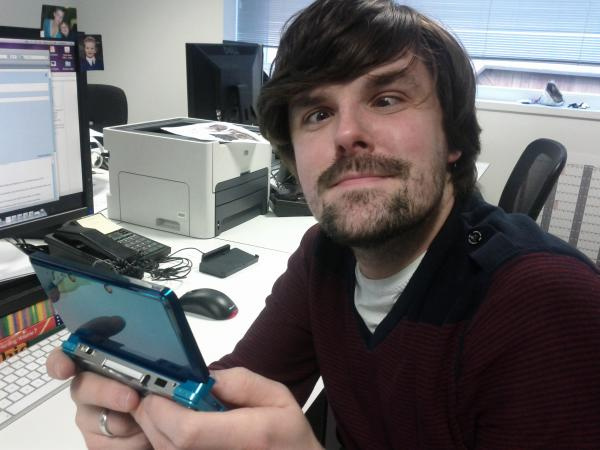 Some people don’t like the 3DS’s 3D effect? An accurate but hardly exciting headline. The 3DS is causing nausea and headaches? Ah, much better. The 3DS launched at a high price and isn’t doing well? Yawn. The iPhone is killing handheld gaming? I bet you’d click on that. XBox One not selling as well as the PS4? Meh. “Microsoft Corporation’s Xbox One Looks Like a Total Failure”? Oh boy. Wii U sells better than PS4 initially because it launched during a holiday? Boring. “Wii U Sales Outpacing PS4’s in Japan“. Exciting! Game delays lead to struggling Wii U sales? No. Nintendo Should Go Third Party? YES! 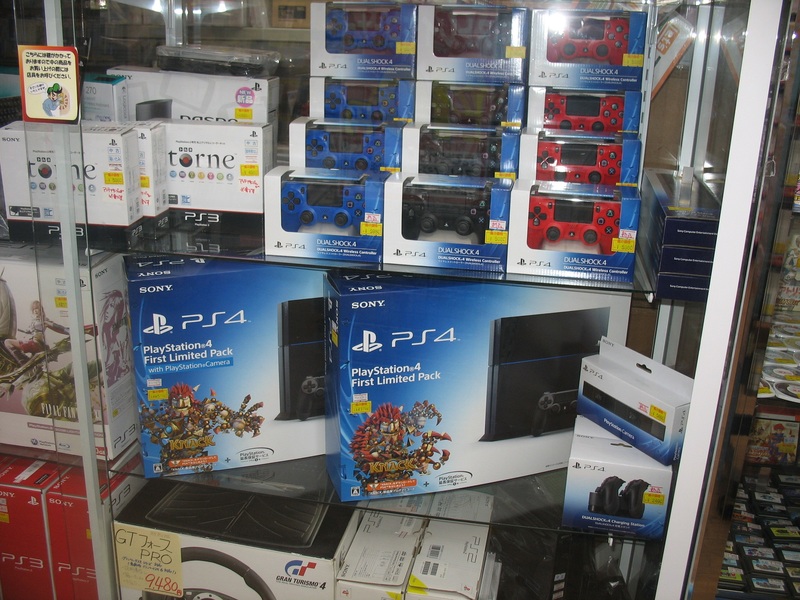 New Game Consoles Sales Fall Quickly Due To High Sales Volume At Launch? A little dry… CONSOLE GAMING IS DOOMED! That’s a juicy story. The point is that many elements of the gaming news are open to interpretation. Unfortunately instead of choosing the most rational interpretation, gaming journalists will choose, nine out of ten times, to go with the interpretation that is more likely to get hits. Positive articles will get more hits than neutral articles. Negative articles get way more hits than positive articles. That’s why journalists jump at the first possible opportunity to spout their doom and gloom prophecies. Why is it such a problem that websites are so quick to rev the doom engine? Well, firstly, one has to wonder how the negative perception, which comes both from niche gaming sites and mainstream sites, influences sales. Of course, websites should be free to report what they see as the truth, but is the undeniable bias towards negativity sabotaging products like the Vita, Wii U, or XBox One? It’s easy to debate the influence media has over our purchasing behavior. What is not easy to debate is that the sensationalism in the media encourages sensational attitudes in fans. Gamers are typically viewed as obsessive, irrationally devoted, and often psychotic in their opinions on games and consoles. This is a reputation we’ve earned for ourselves, but it doesn’t help when so called professionals embrace sensationalism themselves. The only people who benefit from our obsession with doom and gloom are sites who earn money from cheap clicks. Hopefully, we can resist the sirens call of sensational media, and stop the cycle of doom. So that is why your article has such a sensationalist title? seems pretty appropriately titled to me the whole point of this article is about the hyperbolic nature the discussion about the future potential of consoles, good article as per usual Justin. Only this is true. For $599.99 the PS3 was still viable because it’s the PlayStation brand coming from the PS1 and PS2. And Nintendo DS.. that’s coming from the GB and GBA. However WiiU and X1 are doomed. I don’t have to explain myself. You go research yourself. Of course you don’t actually make any sense, but then again this article doesn’t make much sense either. Basically, the article reads: everything dies eventually some things just take longer than others. Big deal. I’m not sure how you got that from the article. The article was talking about how the media has proclaimed doom for just about every system that has come out at even the slightest hint of trouble. *shrugs* Maybe I didn’t express myself clearly enough, but I still can’t see where your interpretation came from. Well your title got me to click on it so I guess it worked. Well, sorry you didn’t enjoy it. You cant explain yourself because your not to bright, its easy to say things with no context. Things we dont know, profit margin, or any profit at all from ps4,wii u, or x1…this is huge. The x1 is selling faster then the 360 did at the same time period. X1 does not have to sell at the level of the ps4 to be successful, its almost like saying the iphone 5s has to sell as much as the galaxy s 4 world wide to be a success. Software on the ps4 and x1 are selling comparatively even though ps4 has a huge lead. The only thing dumber then the article, is this person who replied. Facepalm! Dang kid your even on this website.You are one scary dude For the record it’s you who is doomed! U mad bro? @dirkster’s first comment. Hmmm… There is a delicate balance between creating a title that is interesting enough to get people’s attention without having it be too sensationalist. I had a few titles before I settled on this one, which I thought was a good balance. Maybe I was wrong. I’ll keep this criticism in mind for the future. Enjoyed the article just fine just didn’t really understand the title.